A couple weeks ago, I attended an annual gathering of superheroes called “Blue Sky Girls Day.” At first glance, these people look ordinary. There wear no special capes or tights, and they summon their strongest powers for things most people take for granted. Like walking, talking, grasping objects, eating, drinking, sleeping—sometimes even breathing. The following is from a post originally written for Vector, Boston Children’s Hospital’s science and clinical innovation blog. A study published last week in Neuron uses mouse models to shed new light on the brain mechanisms that underlie sensory processing abnormalities in autism. Led by Takao K. Hensch, PhD, of the Department of Molecular and Cellular Biology at Harvard and the F.M. Kirby Neurobiology Center at Boston Children’s, researchers examined how the brain integrates sound and touch information in a deep brain region called the insula. In several studies of people with autism, the insula has come up as an area of abnormal activity or connectivity. In normal laboratory mice, the insula’s response to simultaneous sound and touch is often stronger than the sum of its responses to each stimulus separately. However, in four separate mouse models of autism, Hensch and colleagues found that the insula’s response to sound and touch together was actually less than the sum of its parts. This abnormality in sensory integration correlated with an imbalance in “excitatory” versus “inhibitory” signaling between neurons in the brain—and it could be prevented when the excitatory-inhibitory imbalance was corrected early with medication. “Despite ample evidence in humans that the insula is deeply involved in hallmarks of the social brain, such as empathy, pain and urges, this is the first attempt to characterize its development in an animal model of autism,” says Hensch, also a member of the Center for Brain Science at Harvard and director of the Conte Center at Harvard, focused on developmental origins of mental illness. Why is it harder to learn languages when you’re older? Why do star athletes and master musicians start training young? Why are certain medical conditions reversible in kids, but not in adults? The answer to all of these questions and many more lies in the existence of ‘critical periods’—windows of time in human and animal development when environmental experience molds neural circuits. While experience can influence the brain long before and after critical periods, the sculpting power of its hand is never quite as strong than as during these periods of heightened plasticity. Years of research from neuroscience laboratories worldwide, including the team of Takao Hensch, director of the Conte Center at Harvard, focused on developmental origins of mental illness, has revealed that inhibitory neural activity—in which neurons release chemical signals that dampen or silence the electrical activities of their partners—plays a crucial role in orchestrating critical periods. If inhibitory neurons in the cerebral cortex don’t mature, critical periods don’t open. Conversely, if levels of inhibition are amped up early in development, critical periods can open prematurely. But why? 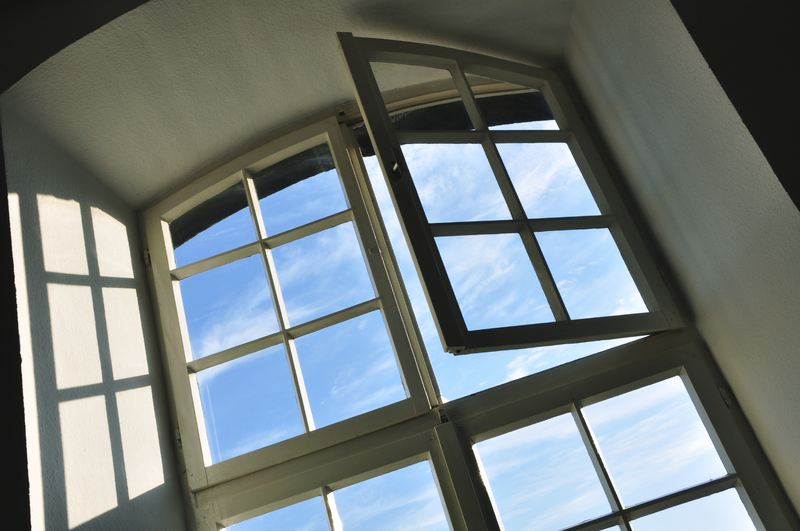 How exactly does inhibition allow a neuron to “open” a window of plasticity? Music therapy has been around for a while; it had its unofficial beginnings with Pythagoras, who proscribed music treatments for mental disorders6 and took root in the United States around 1950, with the return of World War II veterans in need of rehabilitation2. Still, for many, “music therapy” might evoke nothing more than psychiatry sessions with occasional bouts of soothing Mozart sonata, and we have yet to see music therapists become an integral and habitual part of the healthcare system. The relative obscurity of music therapy flies in the face of its rather staggering breadth of applications, as well as some stunning success stories (for example, speech and gait recovery in Parkinson’s patients). Why this gap? Depictions of impossibly slim bodies in the media are often seen as a cause of modern eating disorders. While attending Elizabeth Lawson’s Conte Center lecture on the role of hormones in anorexia earlier this month, I began to wonder: what happened before mass media? Have eating disorders always existed? And if so, did they appear in the past in the same forms as today? Ancient Egyptian hieroglyphs hold the first known record of abnormal eating behavior: purging after meals, then considered a health ritual4. Purging was also common in Ancient Rome, where the rich would sometimes vomit during banquets in order to make room to continue a lavish feast. Even in the Middle Ages, the wealthy classes purged so they could eat more, seeing excessive consumption as a mark of prestige. These records reveal a surprising prevalence of behavior that today would be seen as pathological. Clearly the norm of eating behaviors is capable of radical shifts under cultural control. At the same time, records from early dynasty China and Persia describe binging and purging behaviors4. Also, African tribal lore tells of adults fasting during times of famine in order to feed their children. Sometimes these individuals continued fasting after the famine, even to the point of death by starvation–suggesting that prolonged fasting lastingly transformed their relationship to food. The middle ages saw the rise and fall of a very particular form of anorexia sometimes called “anorexia mirabilis”, tied to the contemporary cultural ideal of spiritual asceticism. Throughout the 13th century, women partook in extreme fasting behaviors as part of religious practice, some even dying of starvation. 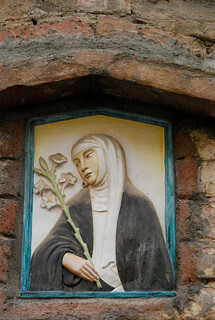 St. Catherine of Siena, one famous anorexic figure of the time, refused all food but the Eucharist, cold water, and bitter herbs that she would chew and spit back out 1. When forced to consume food, she experienced pain and swelling in her stomach. In a 1373 letter, Catherine attributed her extreme fasting to “God who by a most singular mercy allowed me to correct the vice of gluttony”1. Although the saint’s symptoms resemble those of modern anorexia nervosa—loss of appetite, inability or unwillingness to eat, and stoppage of menstruation–they were couched in a context of extreme religious practice, alongside self-flagellation, scalding, and sleeping on a thorny bed1. Last month, on Blue Sky Girls Day, about thirty youth affected by Rett syndrome gathered with their families, friends and community members for a symbolic climb up the stairs of Gordon Hall, a stately building at the center of the Harvard Medical School quadrangle in Boston. It was an inspiring scene, demonstrating the strength that comes from working together in the face of adversity—and also one that makes it crystal clear why biomedical research matters. Rett syndrome is a rare neurogenetic disorder, characterized by regression during development, often in the ability to talk, walk, and make purposeful hand movements—plus a host of other serious medical problems including seizures, breathing difficulties, scoliosis, and gastrointestinal issues. Usually Rett affects girls and is caused by sporadic mutation of a gene on the X-chromosome called MeCP2.